Freo have won two in a row, their only two wins so far in 2016. 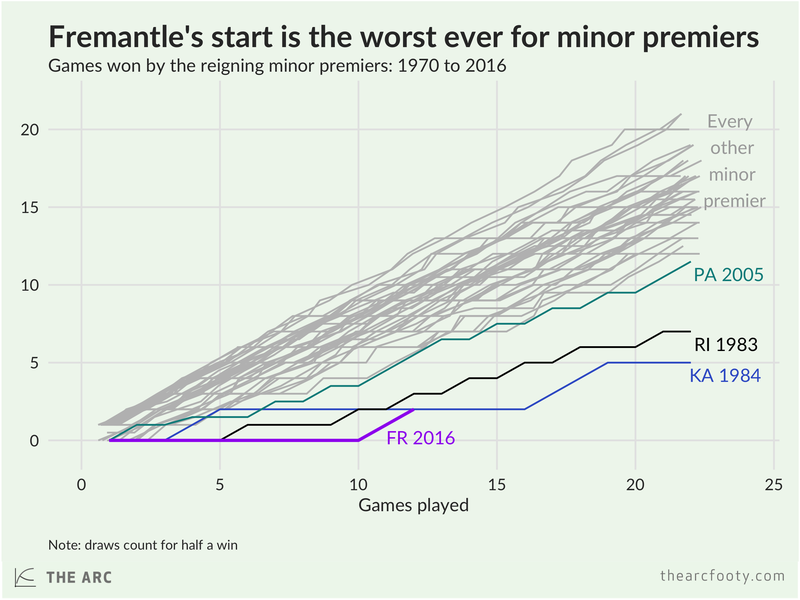 They’re now neck and neck with their rivals, the 1984 Kangaroos, for the title of worst season ever by a reigning minor premier! This epic battle continues to fascinate.